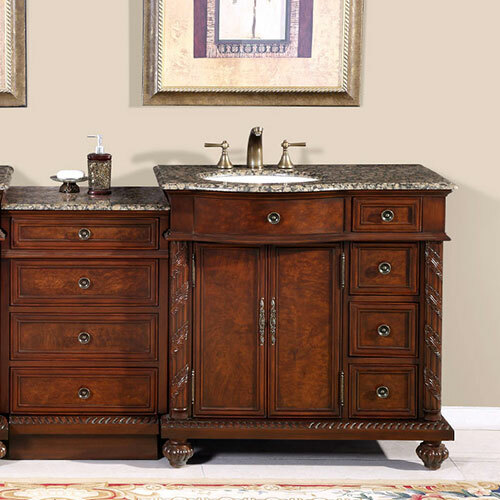 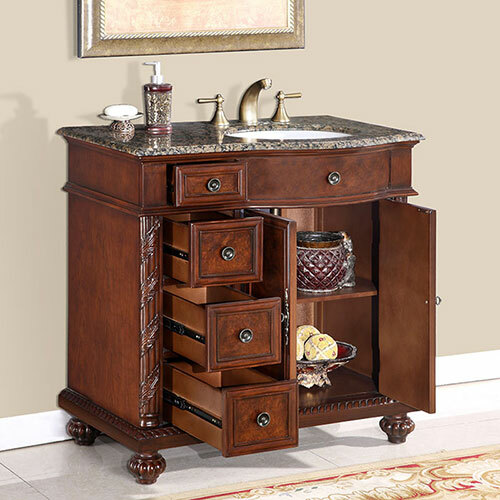 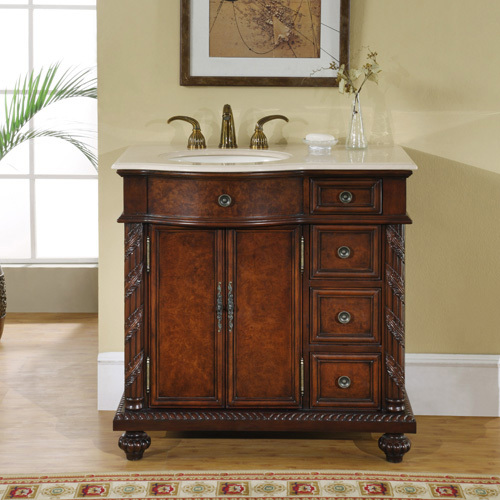 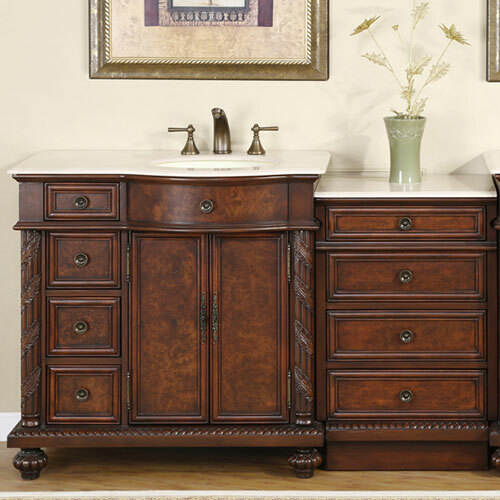 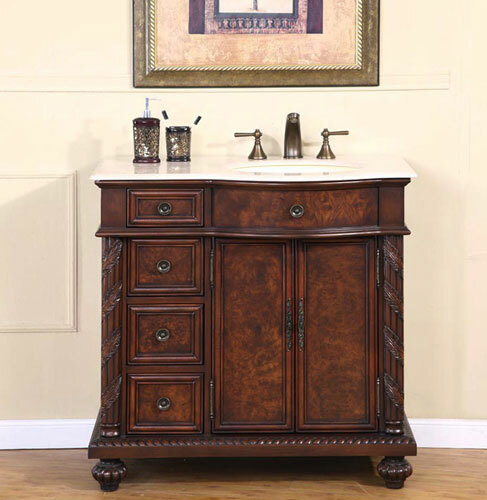 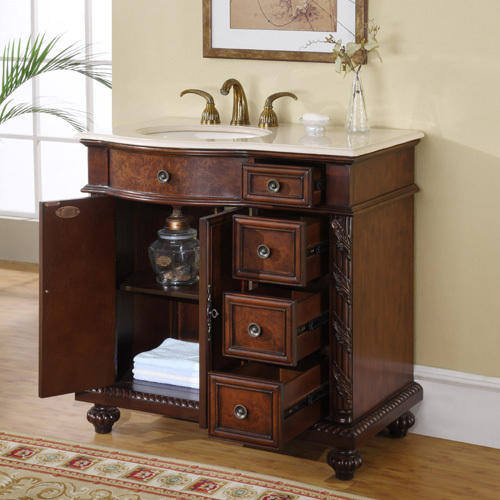 The Favara Single Bath Vanity features beautiful hand-crafted details on the the side columns and feet. 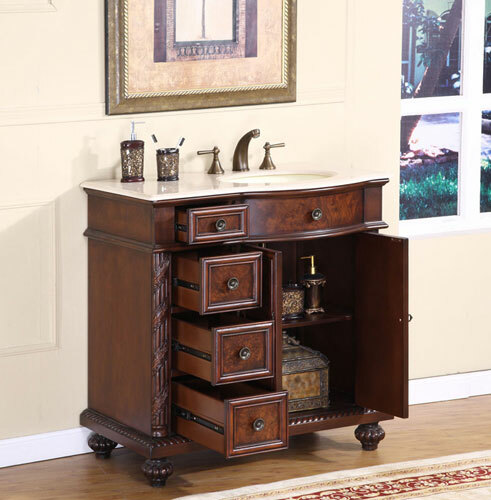 The finish is also hand-painted, giving you a unique looking vanity. 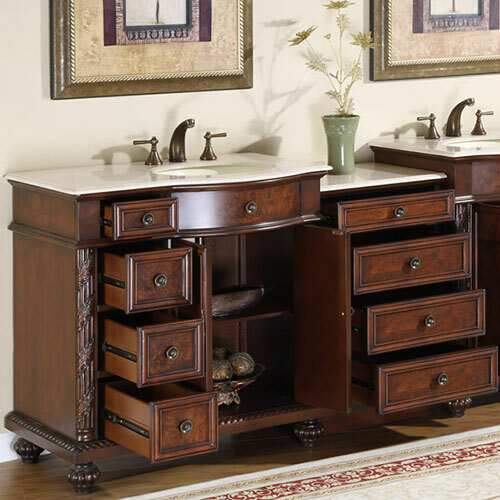 This vanity can be oriented with the sink on the right or left, and the optional drawer bank can be situated on either side. 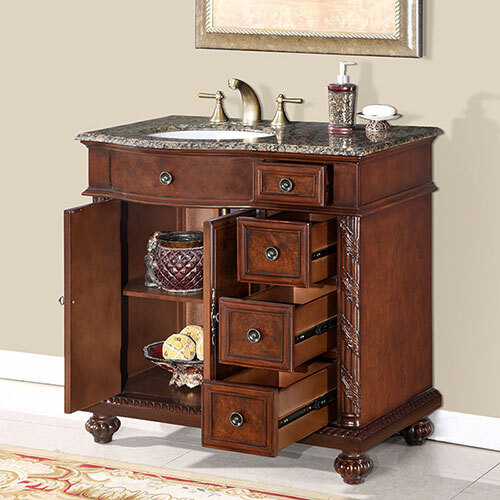 The vanity provides four drawers and a double door cabinet with shelves. 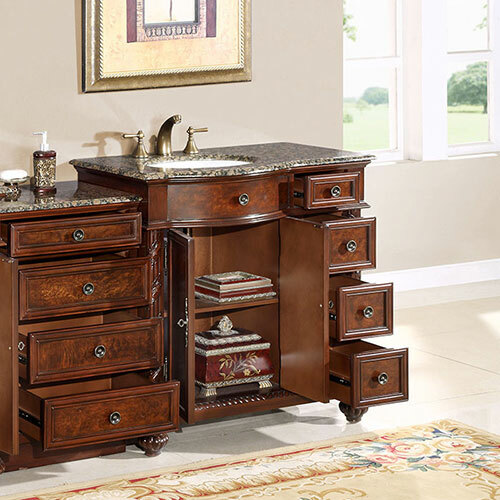 The optional drawer bank provides an additional four drawers for organization. 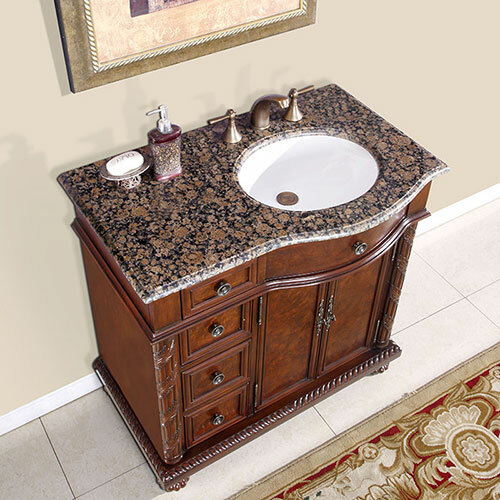 The counter top can be Baltic Brown Granite or Cream Marfil Marble, which has been pre-drilled for faucet installation and also includes an under mount ivory ceramic sink. 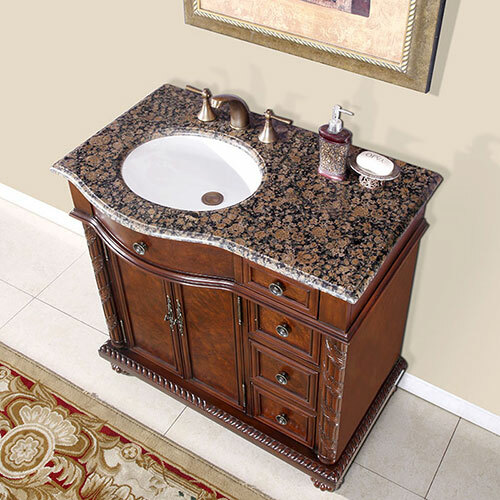 Please note that the Baltic Brown Granite top includes a white undermount sink, and the Crema Marfil Marble top includes a ivory undermount sink.